OMG WHERE HAVE I BEEN?? 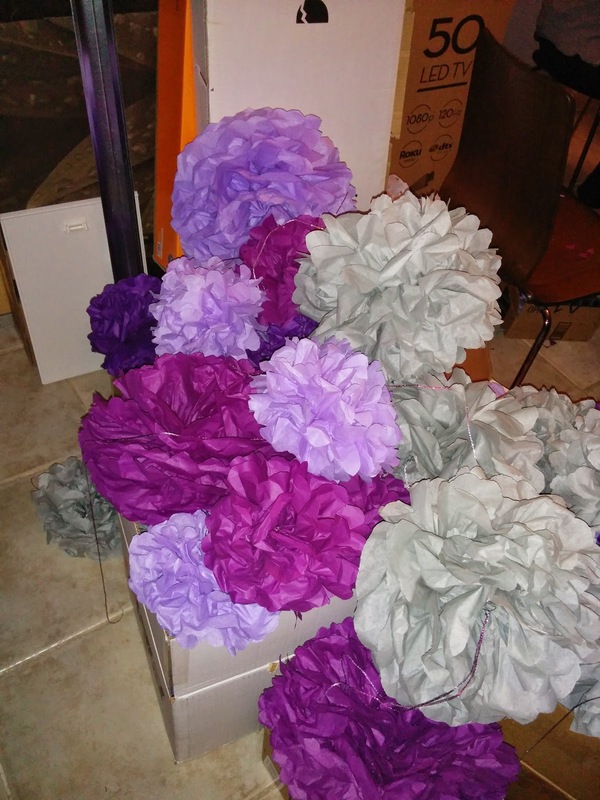 But I did throw a fun party where we made a ton of paper flowers! There was cheese and wine and shenanigans. And look at all the fun puff balls we made! What else has been going on? Well, I finally got on Goodreads (come find me!) and set myself a challenge to read a book a week this year. I thought it was a stretch, but I figured I could catch up after the wedding. But you know what? I've already read 11 (ELEVEN) books this year. That's INSANE. But you know what else? It doesn't feel that fast to me. I've always been an avid reader, I just never tracked anything before. And my pace also ebbs and flows throughout the year. Maybe one week I'll read 4 or 5 books by the same author because I'm obsessed, but then I won't read anything for the next two weeks. It's kind of nice to see how much and how quickly I read stuff, though. I don't know why I never joined before! I think really I've been reading more than anything else lately because I can fit it in in small chunks between doing other things. Waiting 15 minutes for Mario to pick me up for a wedding related appointment? Read. Waiting for a meeting to start at work? Read. Waiting on hold? Read. Also my sewing room is a DISASTER right now and I can't motivate myself to sew when everything is in such a state. This weekend I'm going to get it fit for human habitation again. Speaking of sewing... I did do a little bit! I participated in the #bitchesgetstitchesswap on Instagram. And, in typical ME fashion, I took no pictures of what I sent... UGH. 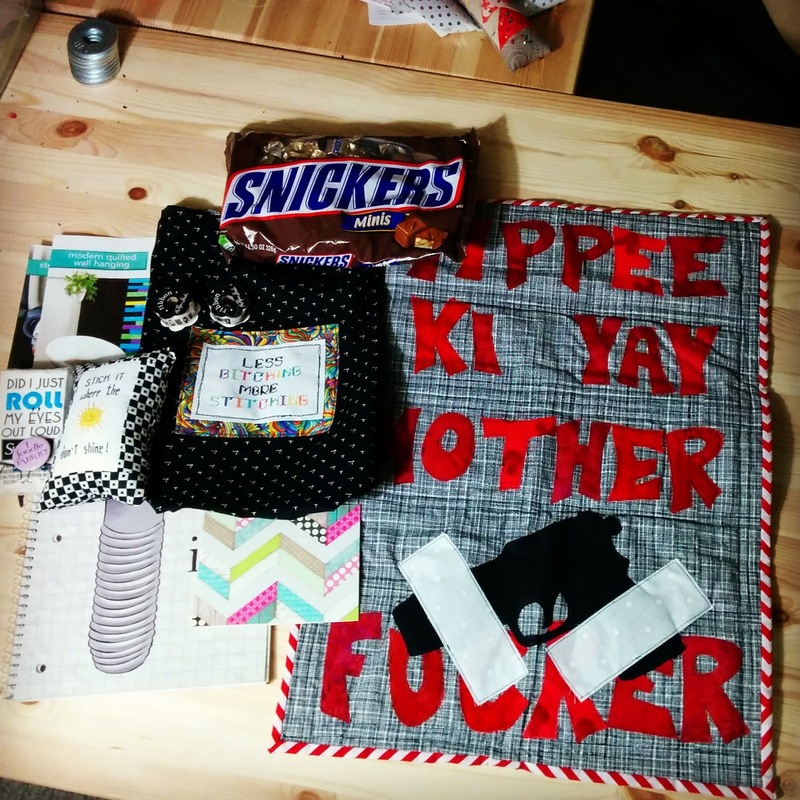 But I did get this amazing package from my swap partner! 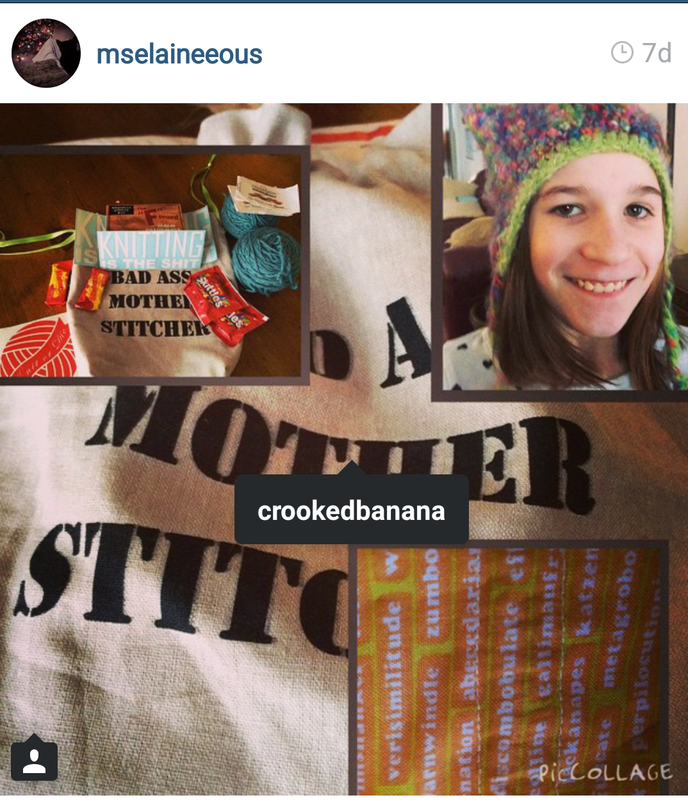 This was such a fun swap :) There are so many great ones on IG that I want to join! But I was really good and didn't join any that would have me sewing right before the wedding. I didn't want to stress myself out too bad... But it was hard. There was a Studio Ghibli swap! And a Gilmore Girls swap!! There will be more. At least, that's what I keep telling myself. And last but not least... I've decided to start running. Specifically, training to run a race with my friend in May O.O I've never run a race before, but I've always wanted to give it a shot. So, HERE WE GO. I have the option of a half marathon or a 10k. My friend is opting for the half marathon, but I'm reserving judgment for a few weeks at least. I know I could do the 10k without too much trouble, but the half marathon kind of scares me. But isn't that a good reason to give it a shot? I don't know yet. Right now I'm training as if I am planning to run the half marathon, so I guess we'll see how it goes! So, as you can see.. I've been super busy. I miss my blog, though. Even if it isn't always sewing stuff, I aim to keep you all up to date on stuff. And hopefully as soon as the wedding is over life will go back to normal enough that I can spend a lot more time behind my sewing machine! !